At 27 years of age, Adam Case become the youngest SOS Chairman ever (by a long way) when he took over from Alan Morgan, who retired at the AGM. 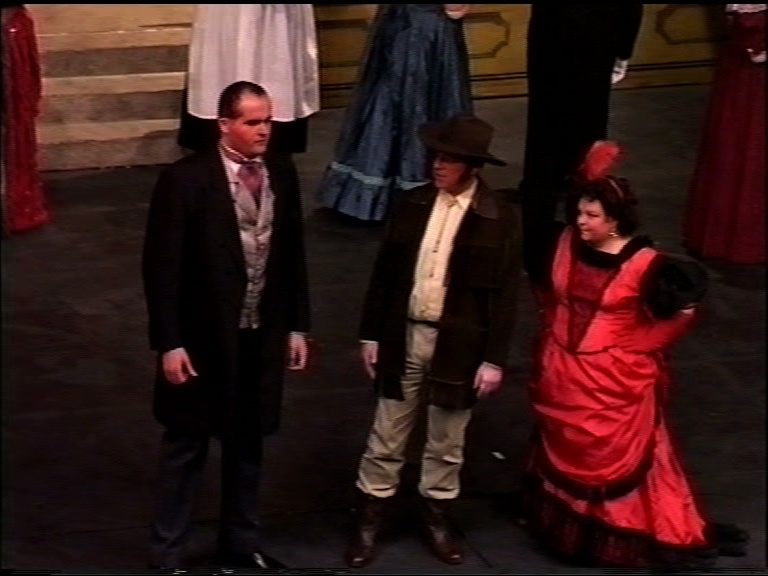 The first production that he would have to deal with was a new one to the Society, Annie Get Your Gun, and he was fortunate that someone with a fine reputation in musical theatre, Malcolm Clarke from RAODS, had already agreed to direct the show, whilst Paul Spanton made a welcome return as the MD. The three of them organised open auditions for the principal parts and they were deemed a great success and an experiment well worth repeating. 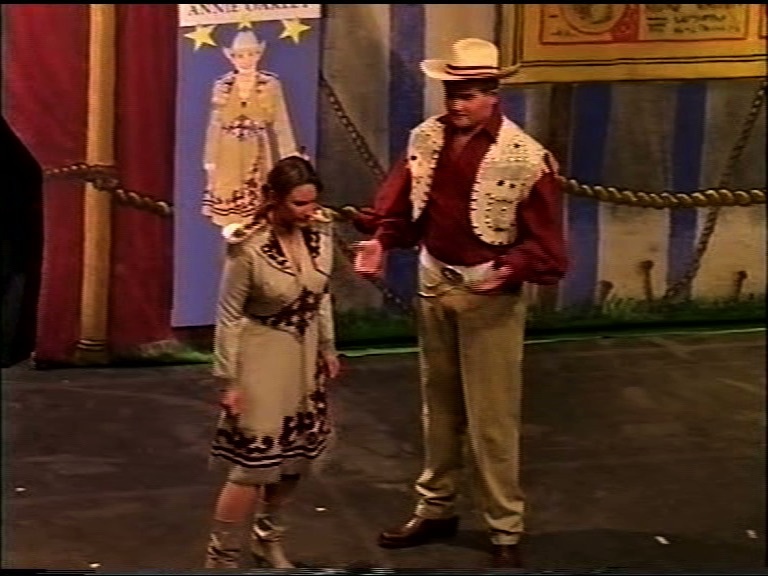 Realistic fake guns were purchased, mainly for this production but also as a long term investment and Richard Faulds MBE, an Olympic gold medallist in shooting, attended a rehearsal to give some tuition and ensure that the main characters did not look like total novices. 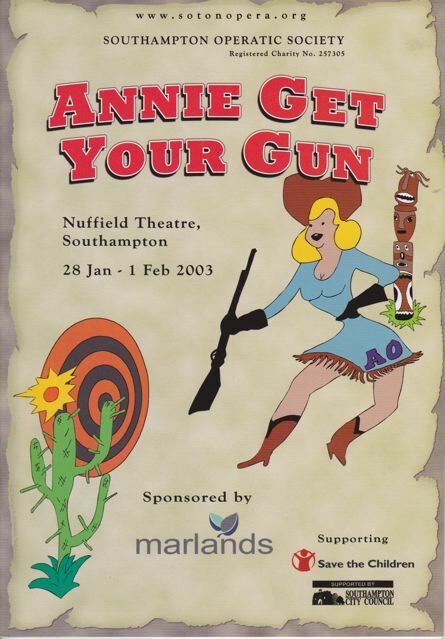 Annie Get Your Gun contained several big company dance numbers and Malcolm relied on Anita Pritchard to choreograph these. 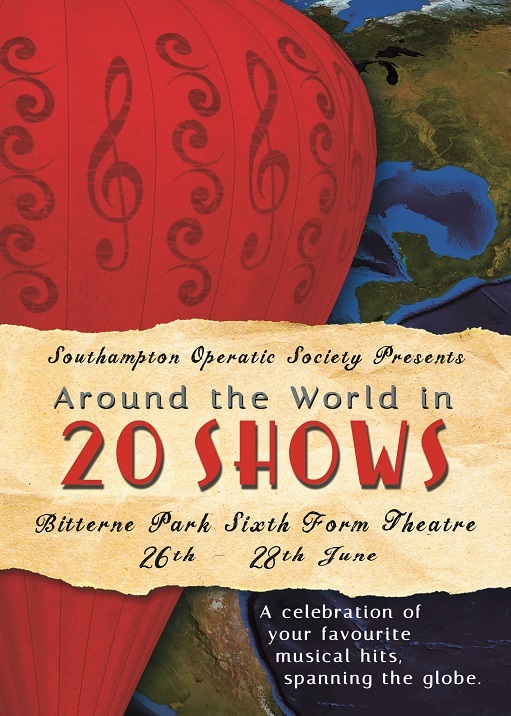 Once learnt, the routine for There’s No Business Like Show Business was used as a warm-up at every rehearsal. Another number, Wild Horse Ceremonial Dance required the company to be transformed into Native American Indians; the movements involved synchronised turning of heads (in the same direction - not as easy as it sounds) whilst Wild Horse (Phil Cheesman) performed some impressive high kicks and acrobatic dance steps. 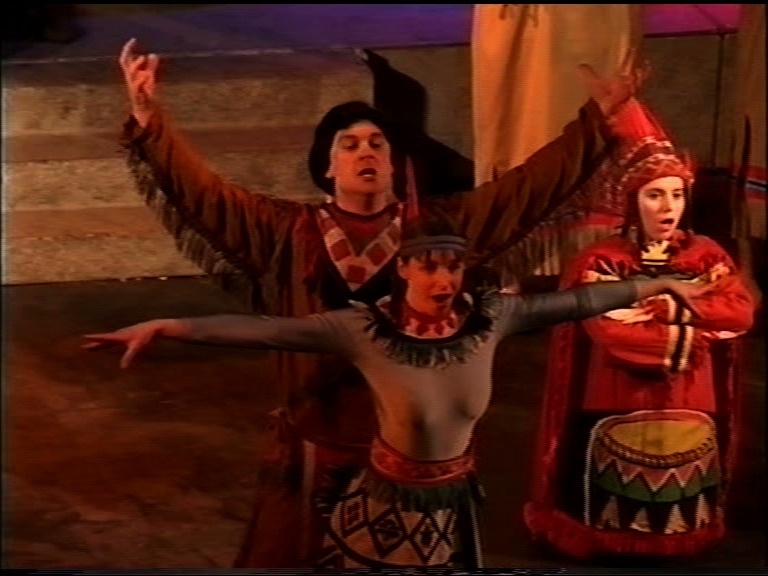 After encountering sound problems in Kiss Me Kate, it was resolved to use radio mics for this production but even these were redundant when, one evening, the fire alarm went off. Everyone was evacuated and left to shiver outside - an unfortunate episode which was improved by the company reprising There’s No Business for the good natured audience. The Echo review rightly focussed on the two main leads but also mentioned some strong performances from the supporting principals: ‘Alexandra Dunn performs the challenging part of Annie with great gusto and has a wonderful singing voice. 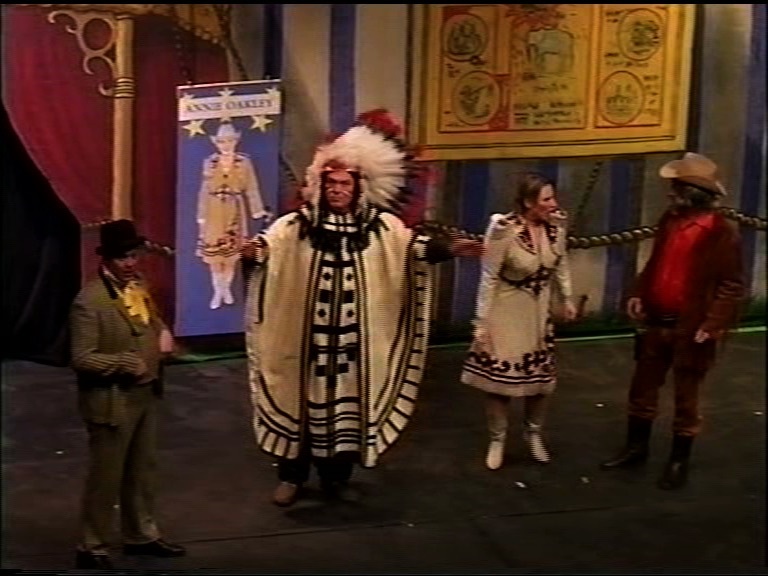 Smoothie sharp-shooter Frank Butler is played by Mike Pavitt, who also has a superb voice, and both leads keep their American accents very well. The duet “Anything You Can Do” was a real showstopper that captured the rivalry between these love-birds with great comic timing. 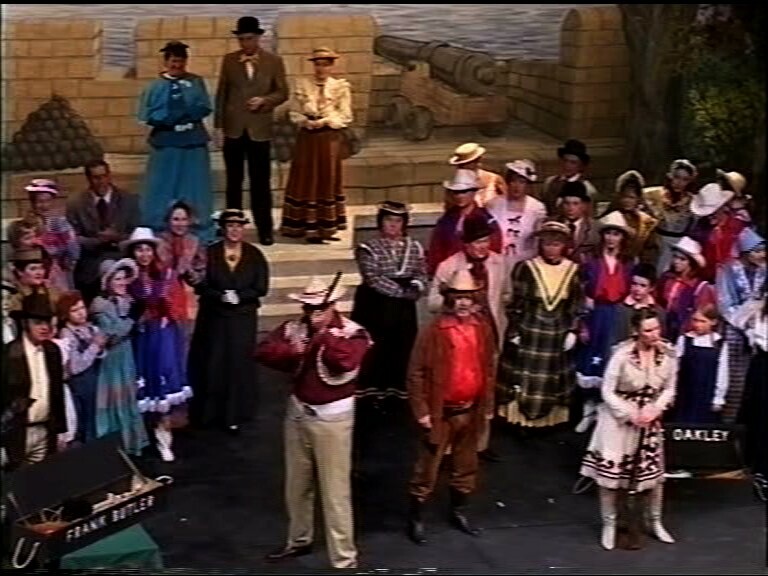 It was anticipated that the costs of the scenery, costumes and royalties would be high, so the budget required Annie Get Your Gun to take £14000. 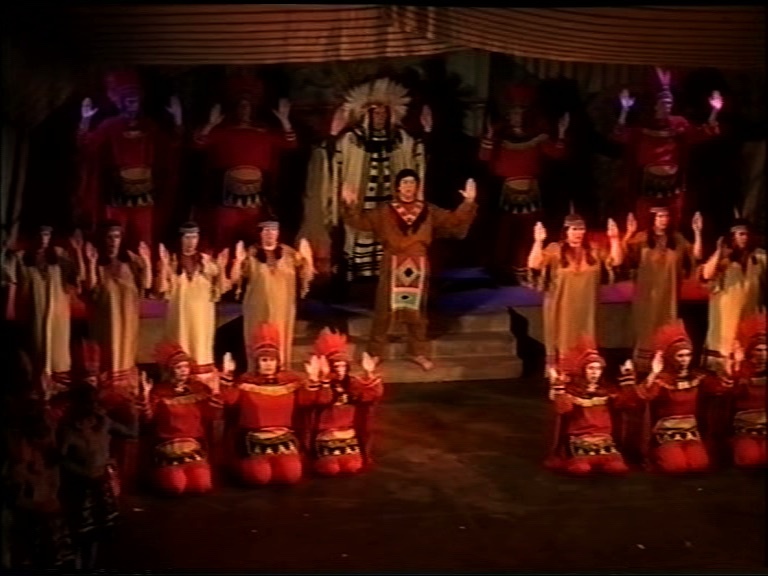 Unfortunately, it fell short of that figure by £865 and, ironically, the production made a loss of £863.